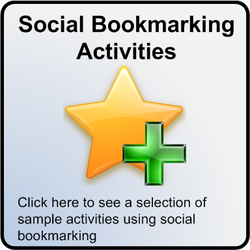 Social bookmarking is similar to adding a page to your favorite sites within your web browser but instead of only being stored on your individual web browser, each bookmark is stored in a single location (a folder) on the internet for all the pupils to access and add to. In a world where your pupils "seek greater autonomy, connectivity and socio-experimental learning” (McLoughlin and Lee 2007), social bookmarking provides a platform for them to research on the internet for themselves while giving them the comfort of knowing that if they are not successful in finding useful information at first, they will still have a repository of useful information at hand from their classmates. 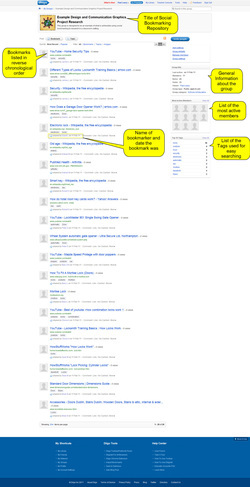 Below is a very simple description, produced by commoncraft.com, of what social bookmarking is and what it can be used for. 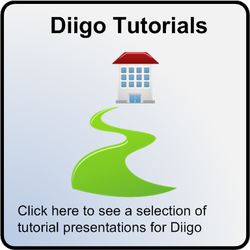 The video uses the social bookmarking application "del.icio.us" as an example but "diigo" has very similar characteristics. How can it be used in your classroom? Hammond, T., Hannay, T., Lund, B. and Scott, J. 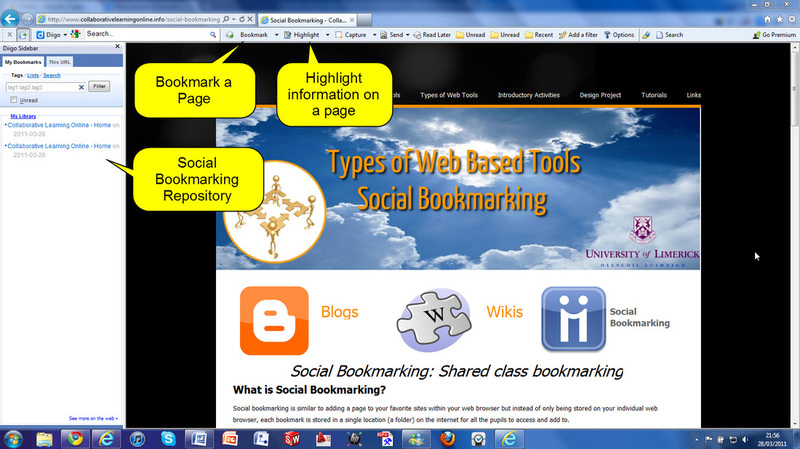 (2005) 'Social Bookmarking Tools (I)', D-Lib Magazine. Mejias, U. (2006) 'Teaching Social Software with Social Software. ', Innovate: Journal of Online Education, 2, 6.